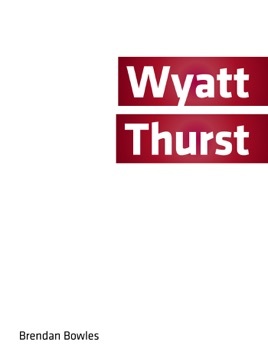 Wyatt Thurst is so lovingly polished it glows. Following two bull riders in the minors through their rodeo circuit, the electrifying and compulsively readable narrative whip-snaps like your spine on an eight-second ride. What is left unspoken haunts the pages as much as the keenly observed details of the world that the author has built. BRENDAN BOWLES has won the Toronto Star Short Story Award and has been nominated for the CBC Short Story Prize, the Disquiet International Literary Contest, and the Broken Social Scene Story Award. He was one of two writers nominated for PEN Canada’s New Voices Award in 2013. Mr. Bowles lives in Toronto.